Technology is always evolving, and smart home control systems are regularly gaining new upgrades that expand their features to help you get the most from your automated technology. Whether it is helping you communicate easier, conserve energy, or improve your wellness, smart home technology is changing and growing to make your life more comfortable and convenient. Keep reading to learn about three significant trends that will enhance the performance of your Windsor, CO home control system. Climate change is one of the most pressing issues facing our planet, and you can do your part to counter its effects by reducing the amount of energy you use in your home. Automated climate control systems, motorized shades, and smart lighting work together to help you shrink your carbon footprint. By connecting these to your home control system, you can easily see how much power you and your family use to light, warm, and cool your home and make necessary adjustments to lower energy usage. Occupancy sensors are becoming very popular, automatically dimming or turning off lights in vacant rooms so that you’re not wasting power. Our brand partner, Control4, introduced an exciting new product last year with Intercom Anywhere. 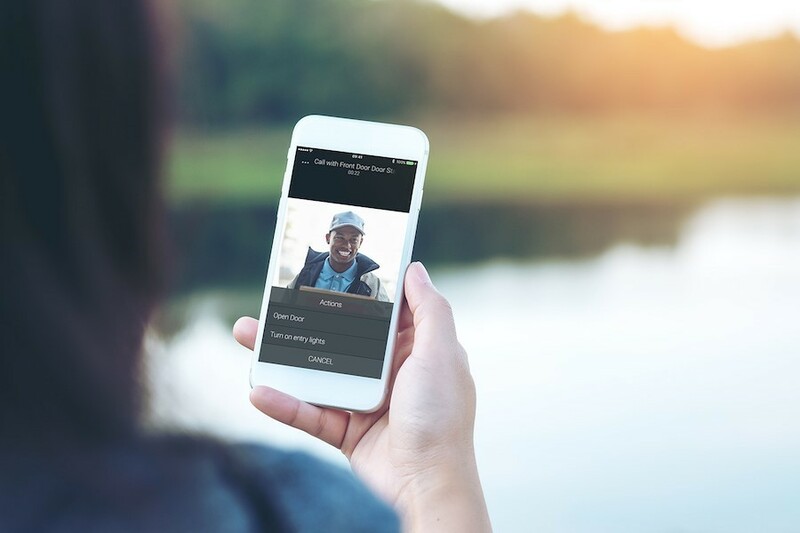 It connects homeowners’ smartphones and tablets to their video intercom system so they can receive and respond to incoming messages whether they are at home or away. The Control4 Door Station module allows you to see who is at your front door or gate via an alert sent directly to your smart device, and you can grant or deny access from the same interface. If you’re waiting for a package to be delivered to your home while you’re at work, you’ll receive an alert when the delivery person arrives with live video footage so you can confirm their identity. You can unlock the door from your phone, and lock it again once the package has been safely delivered. If you’re throwing a party, you can greet guests from your smartphone without interrupting your preparation, giving them a personal welcome and unlocking the door so they can join the festivities. Consumers value technology that benefits their personal wellness, and manufacturers have worked to create new products that have direct wellness benefits. Circadian rhythm lighting is one of the hottest new smart home features, stimulating natural hormone production by mimicking the quality of light you would experience from the sun throughout the day. Cool light in the morning makes you more productive and alert for work, while warmer light in the evening helps you relax after your work is complete. Your lights automatically adjust throughout the day to help you feel more invigorated, and you can set them to match your specific schedule. Want to learn about other smart technology developments that can elevate the home control system in your Windsor, CO home? Reach out to one of our experts by calling 970-217-7018, filling out our online form, or by sending a message in the live chat window at the bottom of your screen.